Blac Youngsta is hitting the internet as a whole with his new released album “F**k Everybody 2”.for the pas 24 hours now the Blac Youngsta is extremely busy with his fans and his social account in the name of his party stuff which took place last night with his crew.He then also give himself opportunity to notify all his friends around about the work done. 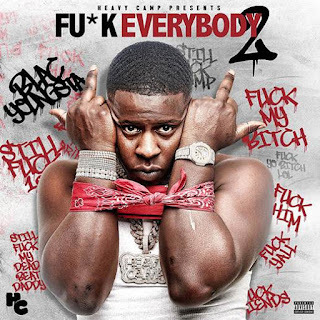 Speaking more about the album,is a compile of Blac Youngsta songs,his new songs which you will keep on listening from first track call 901 to the last track which is Breathe.It obvious that the F Everybody 2 is smiling with 10 song having Lil Pump as guest appearance in one of his song Ight. Blac seem a very pretty good with Lil Pump as he was the only person who appears in this album but produced with different producers.Listen to it below and share.